It feels like we’re in the midst of a tsunami of Warhammer games, and the latest one has crashed onto Steam today like a searing hot drop pod from orbit. 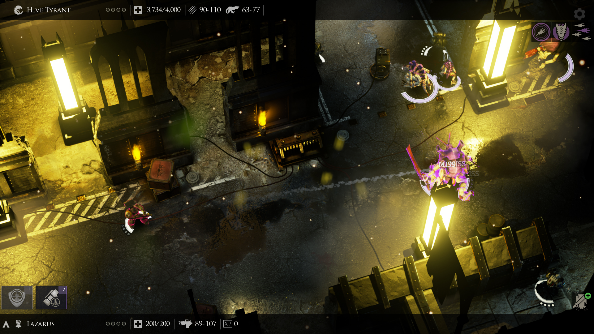 Warhammer 40,000: Deathwatch is a turn-based strategy where the Imperium’s finest Space Marines face off against swarms of Tyranids. If moving squads of little men around is just your thing, you’ll want to play all of the best strategy games on PC. Your squad is the Deathwatch, a team of Space Marines selected from across six Chapters, and are the best-of-the-best soldiers in the galaxy. You choose your Marines from a selection of fifty, and then take them out into the stained battlefields of the 41st millennium to set giant bugs on fire. The game is available on Steam right now, with a launch discount of 10%. If you’re highly disappointed by the lack of XCOM 2 this year, then perhaps this dose of turn-based tactics is what you need to tide you over until next February.